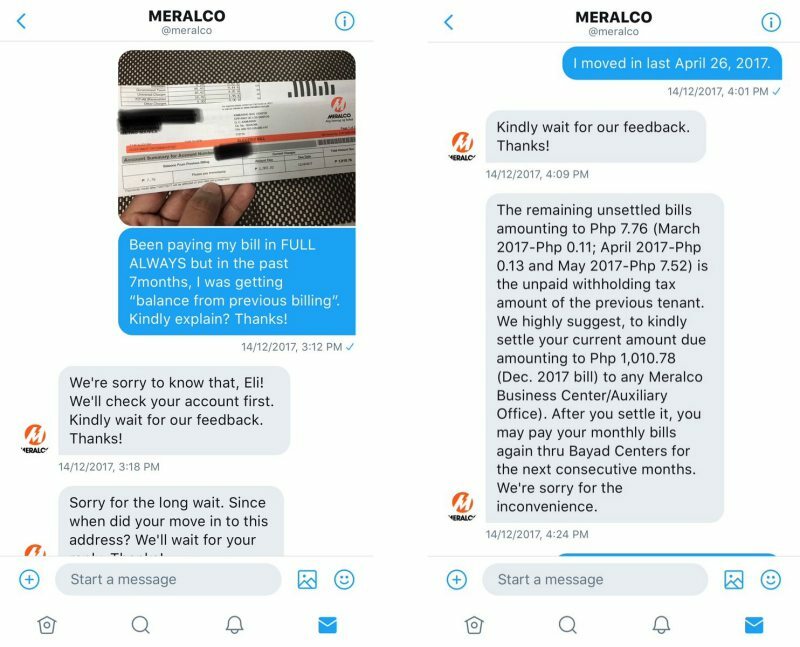 What is the “balance from previous billing” in your Meralco Bill? I moved-in to my new place in April, and from May to December, my electric bill always comes with an amount under the “Balance from Previous Billing” box. This is despite the fact that I have been paying the total amount due in FULL since my first billing. The “balance” has always been less than 10 pesos so it never really bothered me. 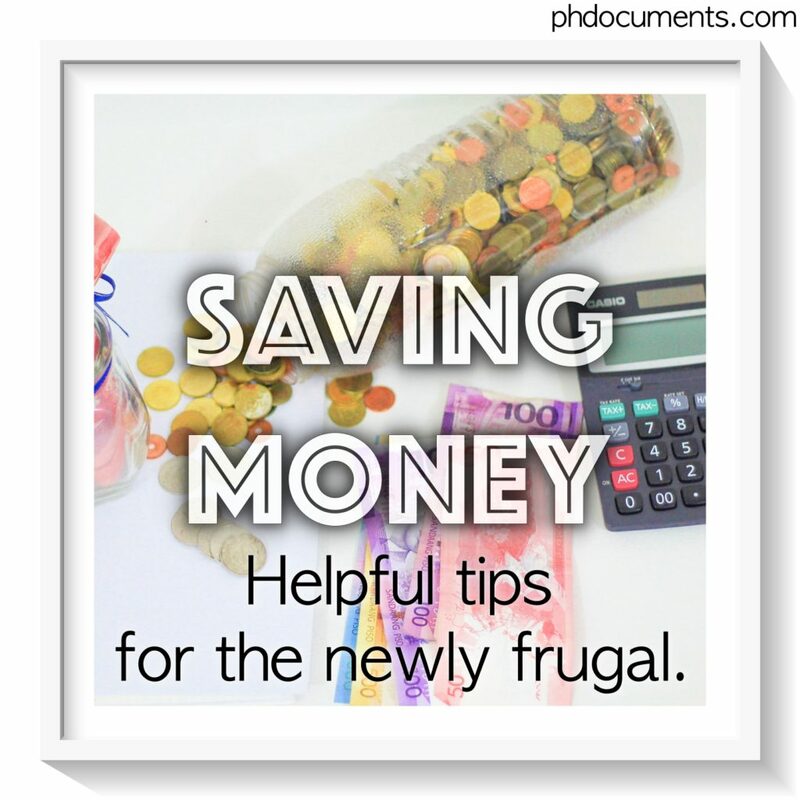 But since we are now on the topic of saving money, I finally decided to contact Meralco. Per Meralco’s advice, these are withholding taxes from the previous tenant. There was never a previous tenant in my unit, so I guess those are taxes earned from when SMDC installed electrical lines? This also still doesn’t explain why these “balances” continued to appear in my bills until December despite having been paying everything in full and on time since May. This message thread will surely continue in January if I see yet another “balance”. To be fair with their social media representative/s, they are very polite and accommodating. I’ve had previous inquiries with them so we were already following each other (you will need to follow each other’s account in order to send private messages on Twitter). I’ll definitely keep an eye on the “balance from previous billing” box in my next bill. Next update: January 2018. January 2018 Update: Consistent to what I’ve been receiving in the past 7 months, another P7.76 was added to my December 2018 bill. 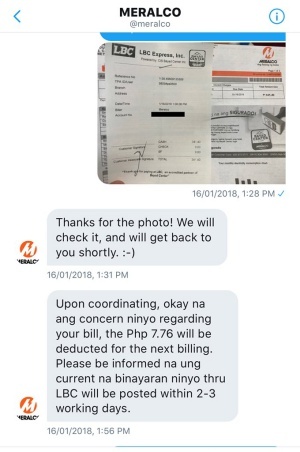 After several DM exchanges with MERALCO, it looks like there had been an error at their end. They promised to deduct this from my next billing: February 2018 Update: The amount under “balance from previous billing” has eventually been removed from my latest bill.